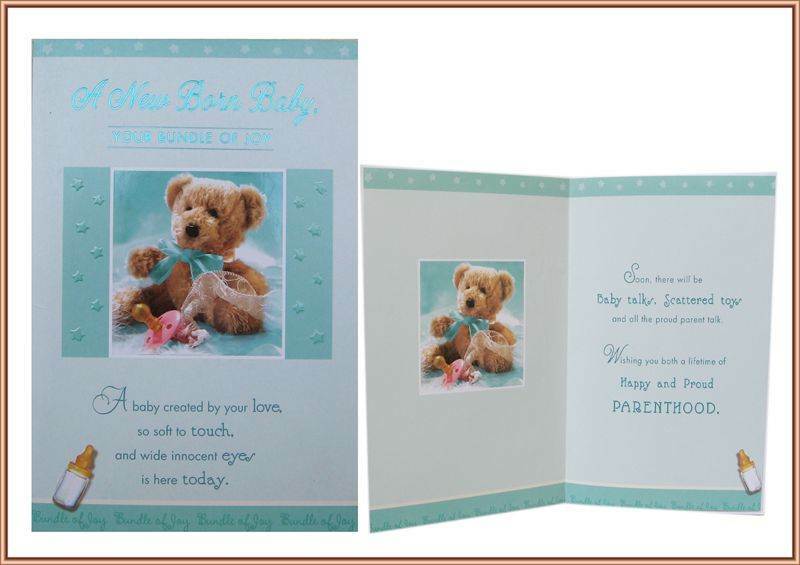 Front message: A New Baby Born, Your Bundle of Joy……. Inside message: Soon there will be Baby talks, Scattered toys and all the proud parent talk. Wishing you both a lifetime of Happy and Proud Parenthood.